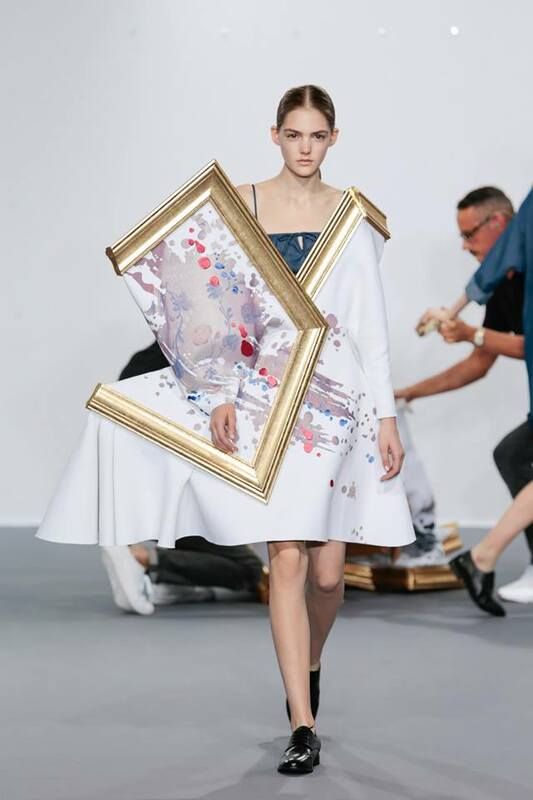 • Framed Paintings Are Transformed…. 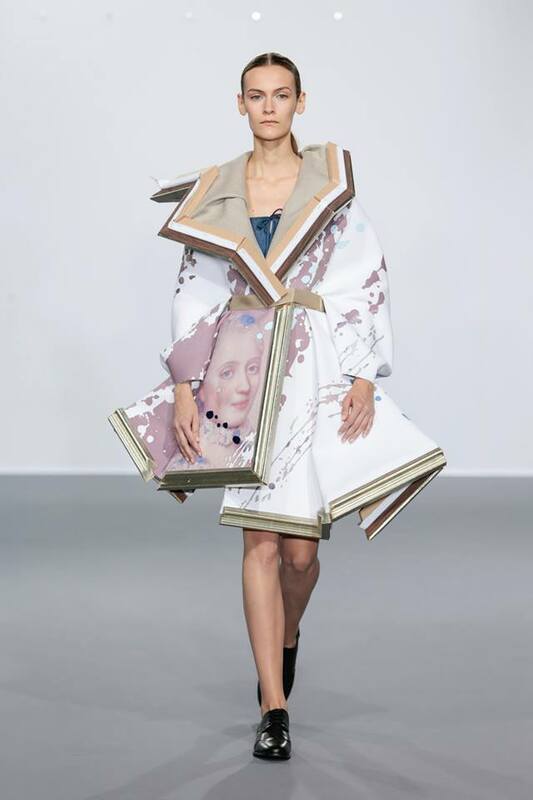 Into Wearable Art During Fashion Show! 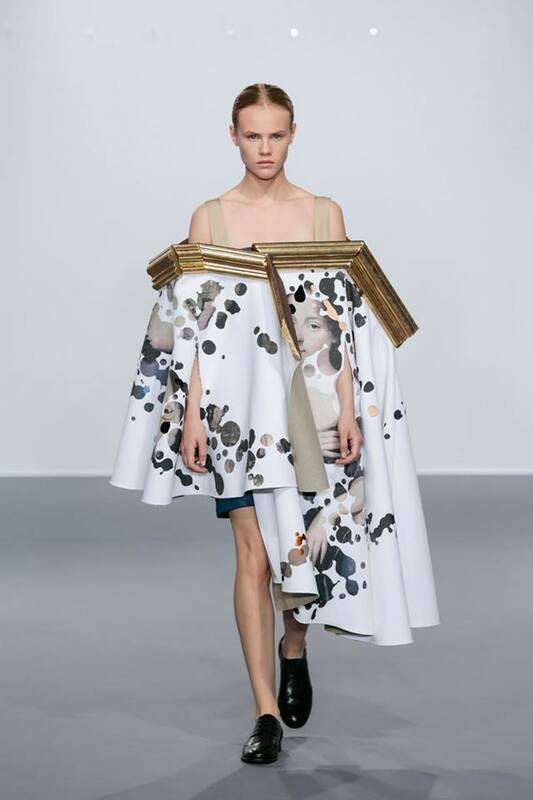 Dutch fashion designers Viktor & Rolf transformed intricately framed paintings into avant-garde gowns during their most recent show in Paris. 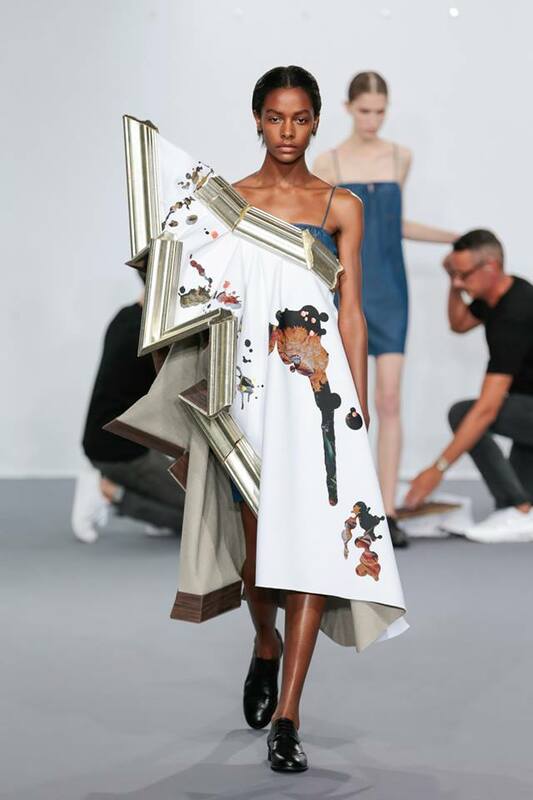 Initially, the wearable art adorned the catwalk’s back wall, but was instantly altered the moment the models appeared. 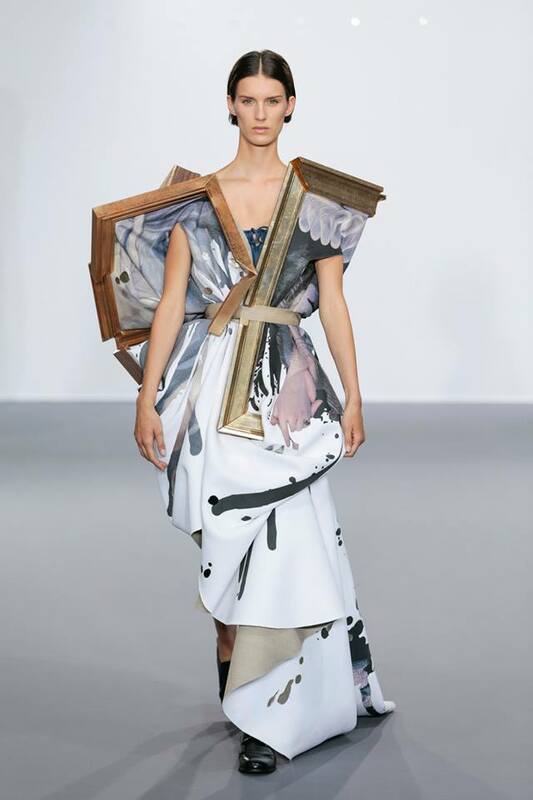 Both Viktor and Rolf unhooked their Baroque-style “paintings” from the wall and reshaped them onto their subjects. 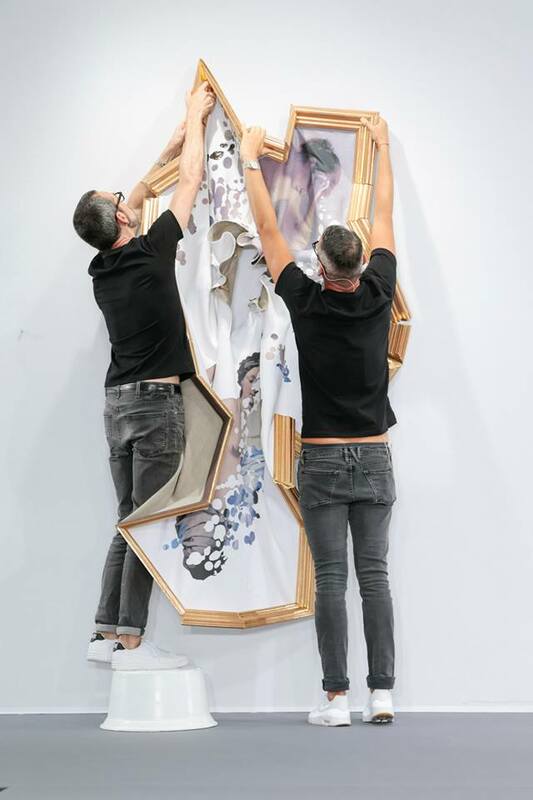 This process interestingly mirrors the spontaneity of action painting, especially since the entire metamorphosis was performed right in front of the audience. 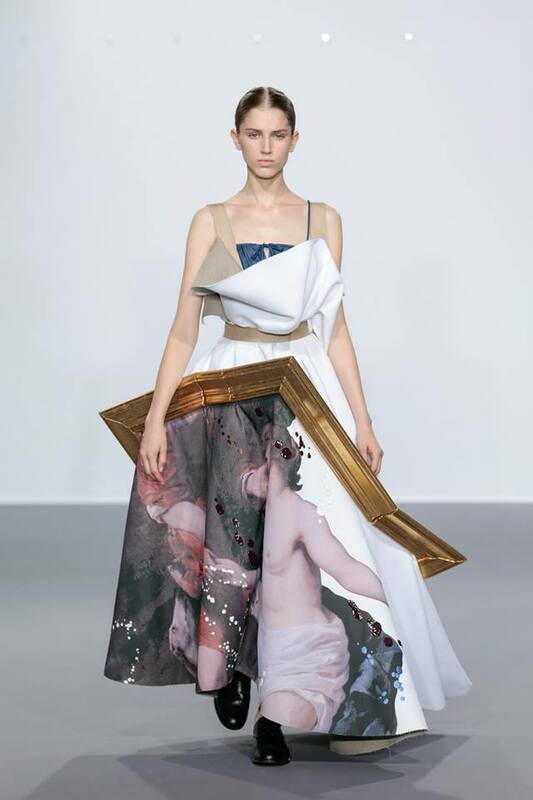 After the painted fabric was rearranged, it blossomed into dresses that were inspired by 17th-century Dutch Golden Age artwork. 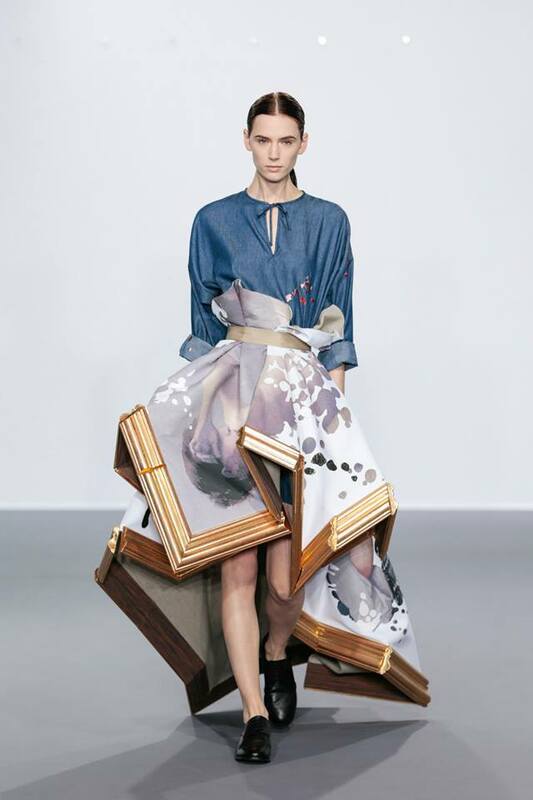 Dainty embellishments, vivid still life, and subtle portraits were all beautifully displayed. 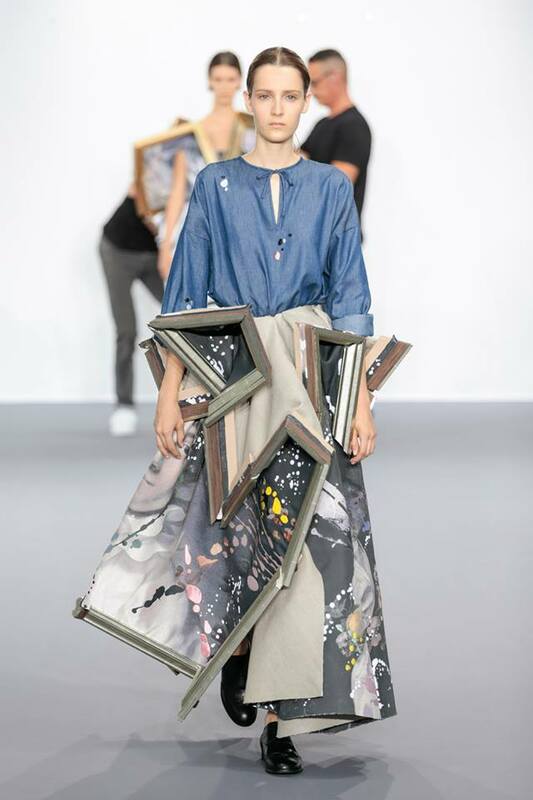 As for the cracked textile frames, they formed exaggerated silhouettes that made the garments look like angular works of moving architecture. There was a distinct contrast between the gilded frames and decorated fabric, but these two elements worked together to create a sense of drama and vibrancy. 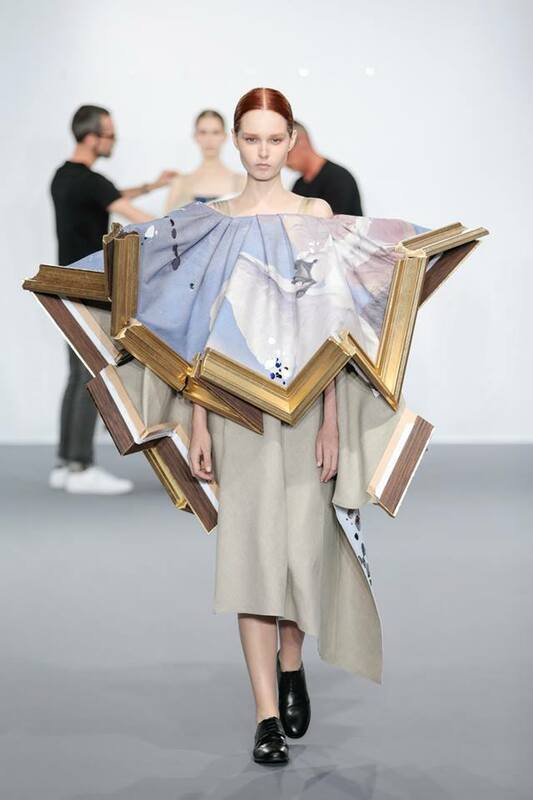 “Art comes to life in a gallery of surreal proportions,” read the designers’ show notes. 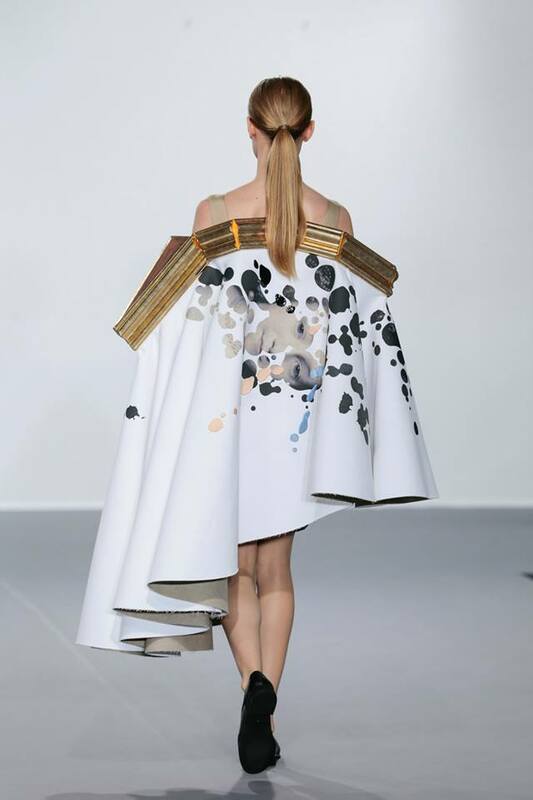 “A dress transforms into an artwork, back into a dress and into an artwork again. 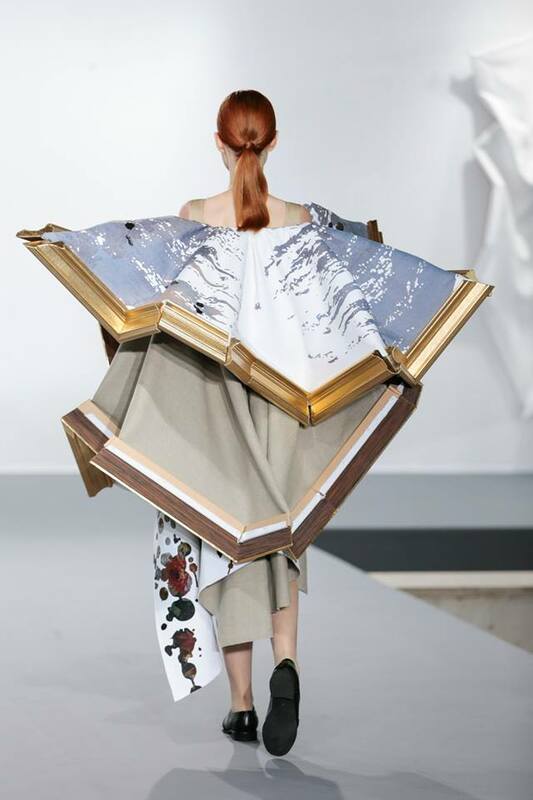 Poetry becomes reality, morphing back into fantasy” (By: Mymodernmet).